Isiphiwo Guest Lodge and Day Spa is situated against the Magaliesberg Mountain range just 15 minutes from the CBD of Pretoria. Isiphiwo meaning “God given” in Zulu is truly that and more. Memories of a life time are made when couples say their ‘I do’s’ in one of our ‘God given’ Chapels. 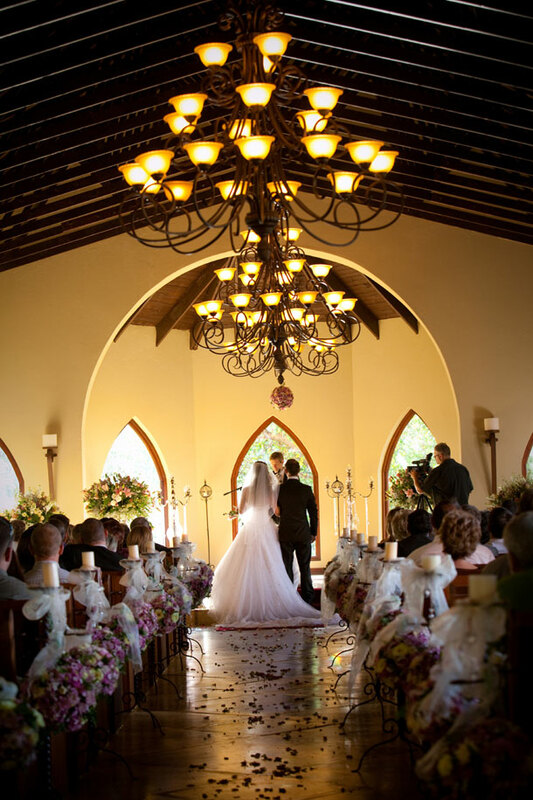 We offer a majestic Gothic influence Chapel accommodating up to 300 guests, and a smaller and more intimate Chapel catering for 60 guests. We have two beautifully designed venues; the first a country and gothic styled Banquet venue situated in all year round green, manicured gardens with all the modern amenities and catering up to 300 guests. The second is an intimate wedding venue is called The Imbali. This venue is situated against the “Koppie” offering guests the real bushveld experience complete with wild buck. The venue can cater for up to 60 guests. To book your wedding at this stunning venue telephone Renier on +27 (0)12 808-2328. Alternatively for further details or to send an enquiry visit Isiphiwo Guest Lodge.